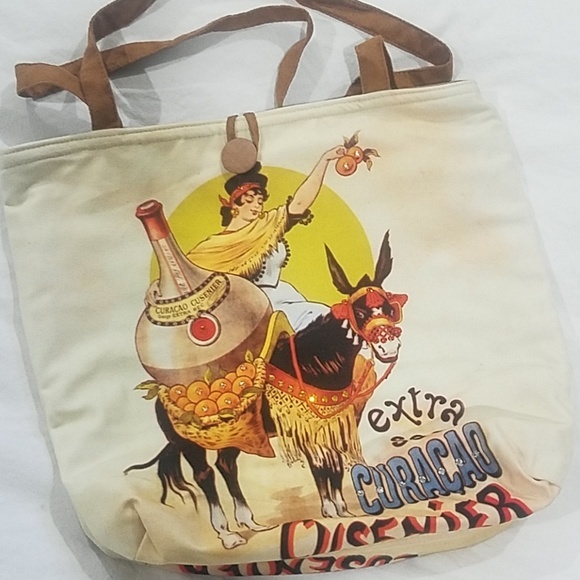 We have commissioned a limited edition line of handmade, double layered, reversible tote bags featuring the artwork of vintage advertising from France, Italy, Spain, Germany, South and North America. 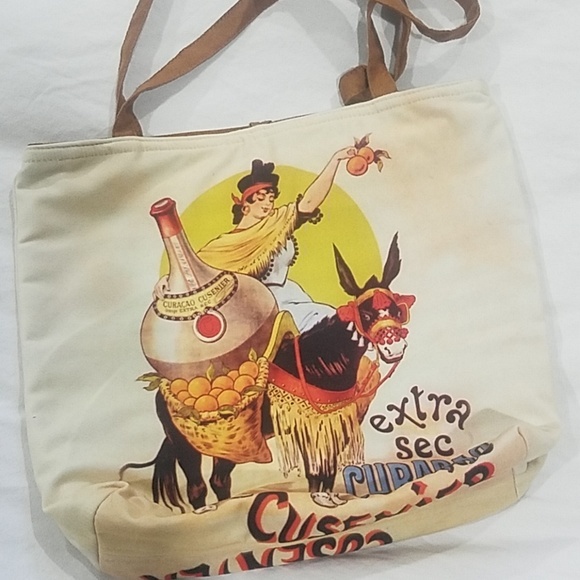 A delicious cloth tote bag, fully lined with contrasting cotton and featuring vintage advertising for Curaco Cusenier. 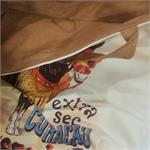 Sequins sewn on. Lined in mocha linen. You'll be the coolest one in the grocery store every time!